When D.J. and I started dating, one the very first thing he made for me was spaghetti with his mouthwatering, family recipe for Sunday gravy. There were tender, melt in your mouth pieces of pork floating throughout and big cloves of perfectly roasted garlic. It was heavenly, and I am about 99.9% sure what REALLY made me fall in love with him. Don’t tell him that though. As our relationship grew, he taught me how to make Sunday gravy, or spaghetti sauce, and his biggest tip to me was a tip that his Mama shared with him, and that was to use Pomi tomatoes. Pomi tomatoes make making sauce easy since there is no need to mill the tomatoes, and they just taste so much better than their canned counterparts, I could easily see why they suggested the Pomi. I’m pretty sure they even mention Pomi tomatoes in the Soprano’s cookbook, and if not in the cookbook, you definitely see them on The Sopranos. 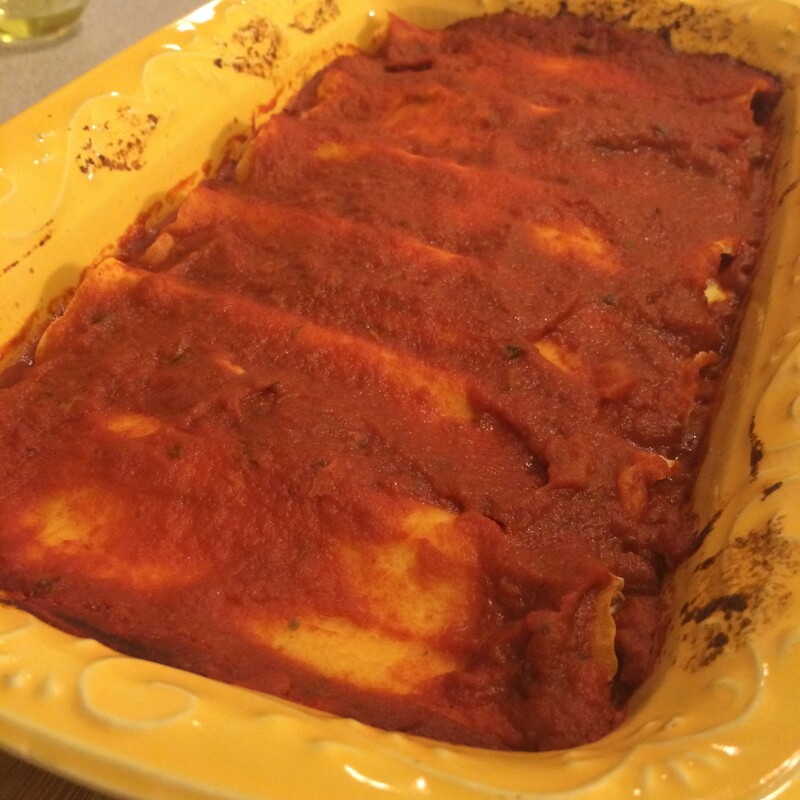 Since spring and Easter are upon us, and we always celebrate the holiday with traditional Italian food, I thought that I would share one of our favorites, manicotti. 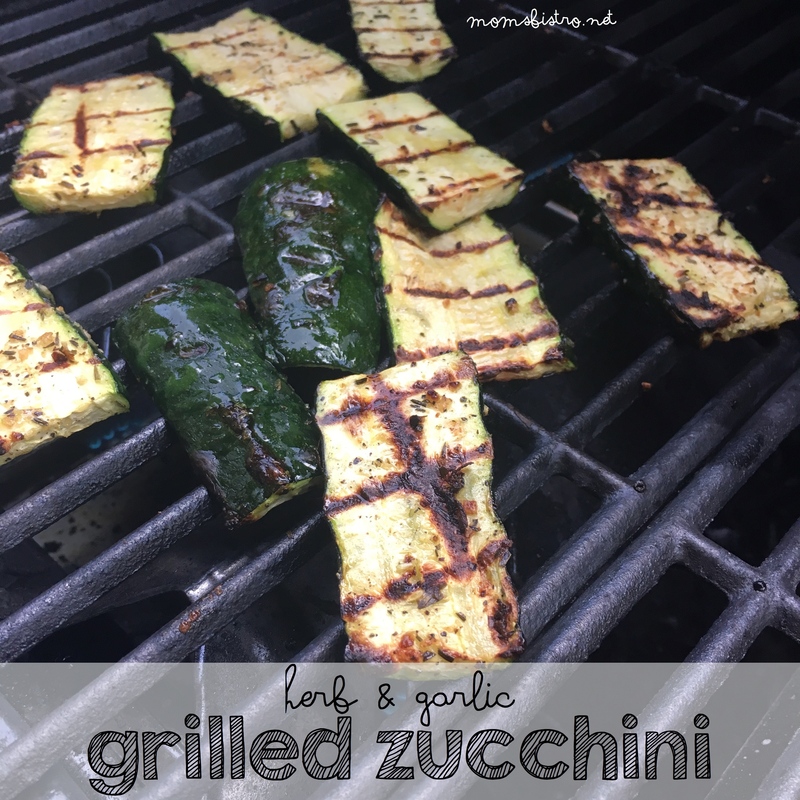 It is very simple to make, and uses the same filling as some other classic Italian dishes like baked ziti, ravioli and lasagna. 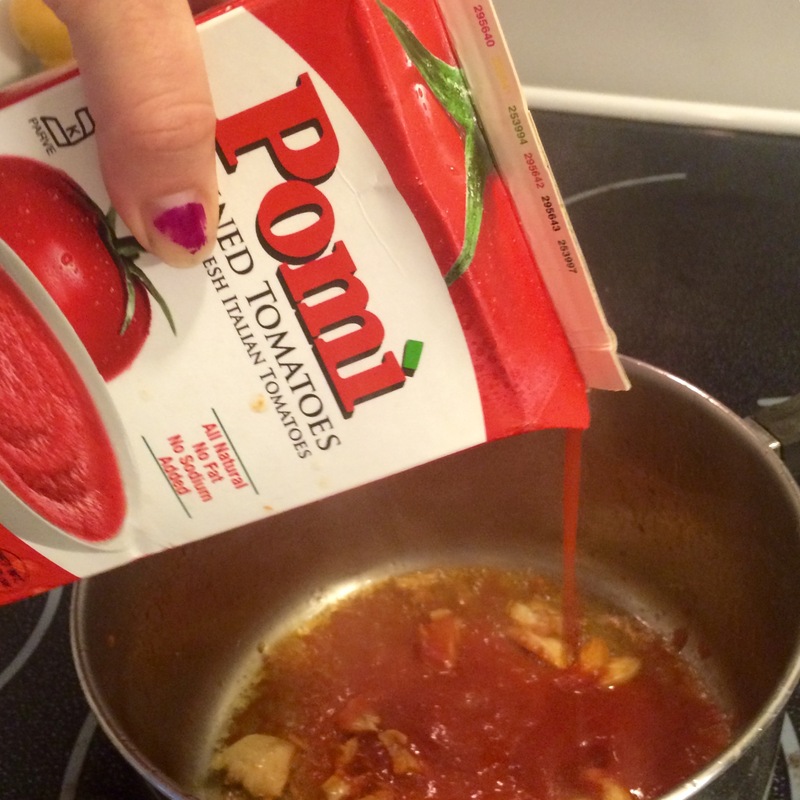 We love using Pomi tomatoes when we make anything Italian, because we can feel safe knowing that they are GMO-free, they taste great and they save so much time – especially with their strained variety. 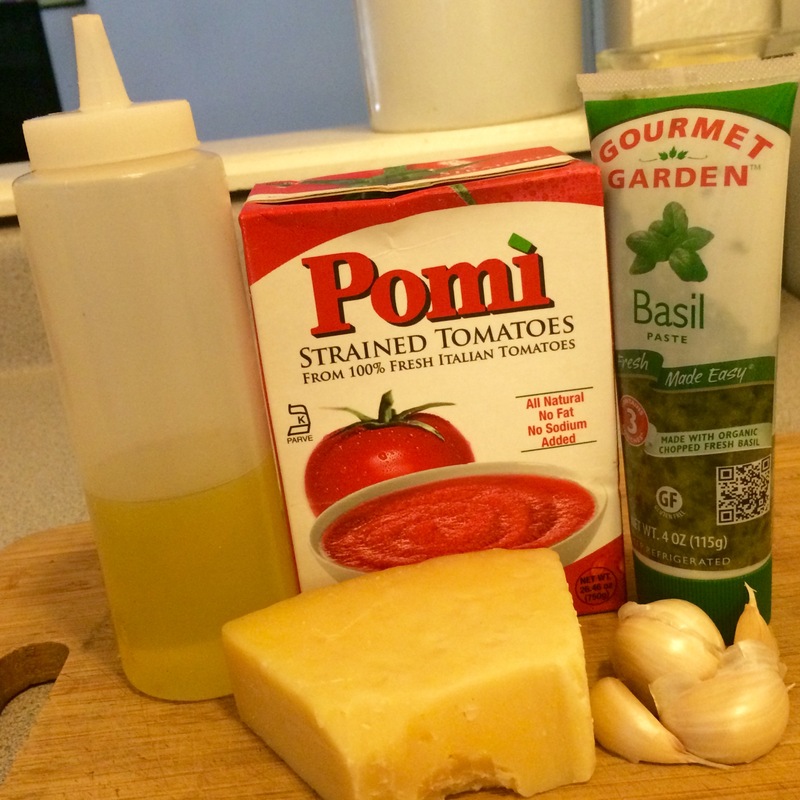 Pomi tomatoes can be found at any grocery store where you would find the canned tomatoes, or in some stores with the natural and organic foods. They really do make all the difference when making your Sunday gravy. 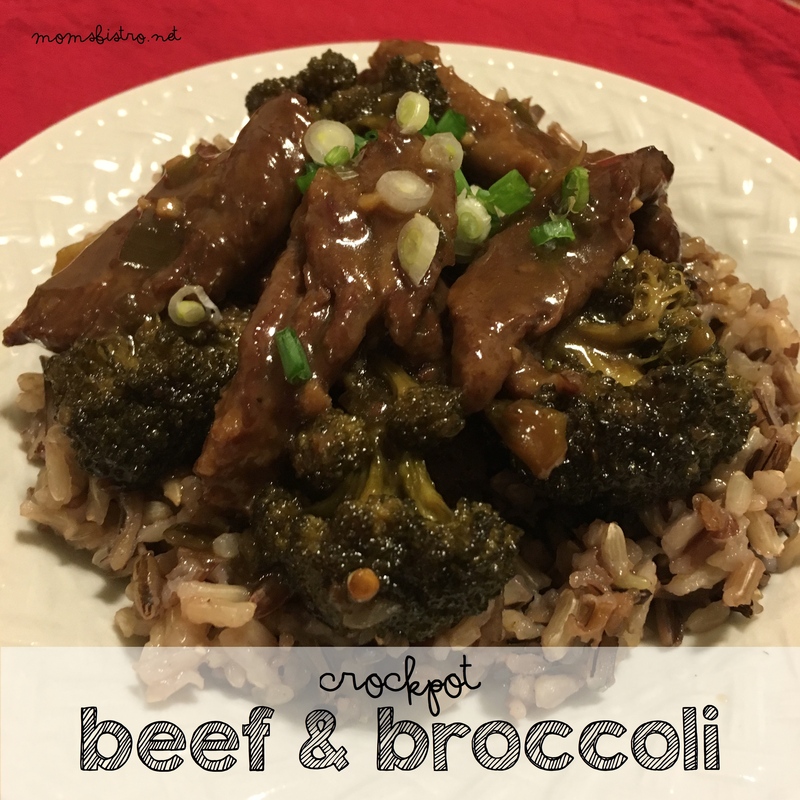 This is the perfect Sunday supper, and a great way to spend the day cooking with your family. 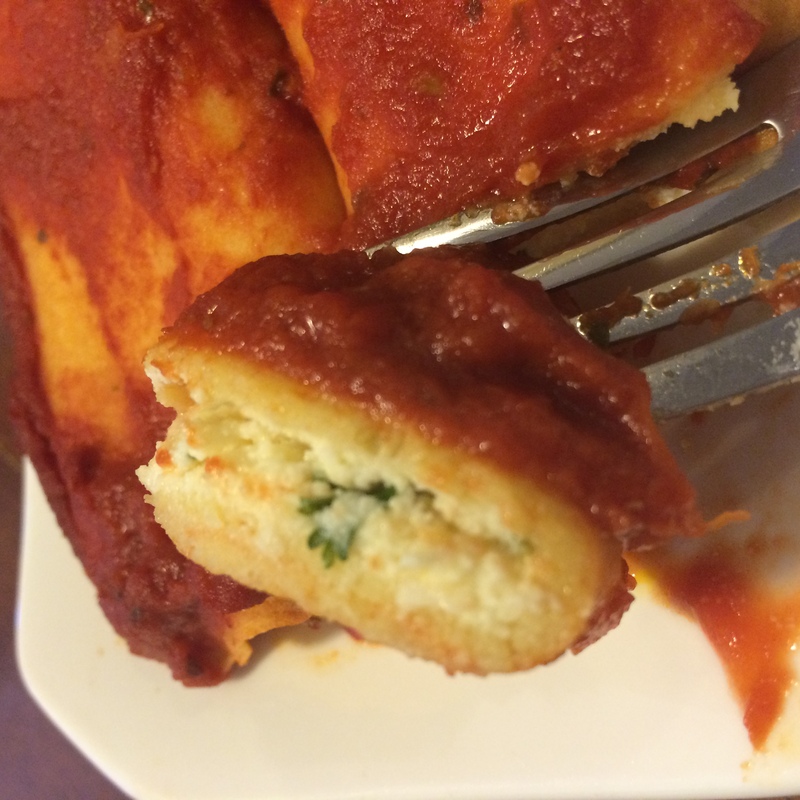 Someone can make the tomato sauce, while someone else mixes the cheese filling and someone else can make the crepes. 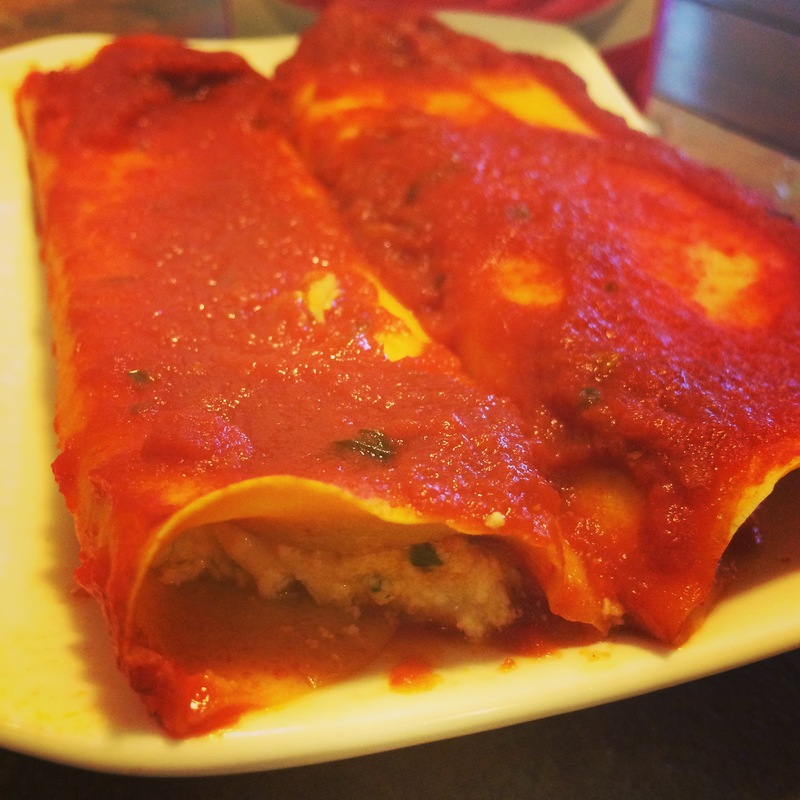 The first step to make manicotti is to make the marinara sauce that smothers the cheese filled crepes. In a large pot over medium heat, add oil and garlic. 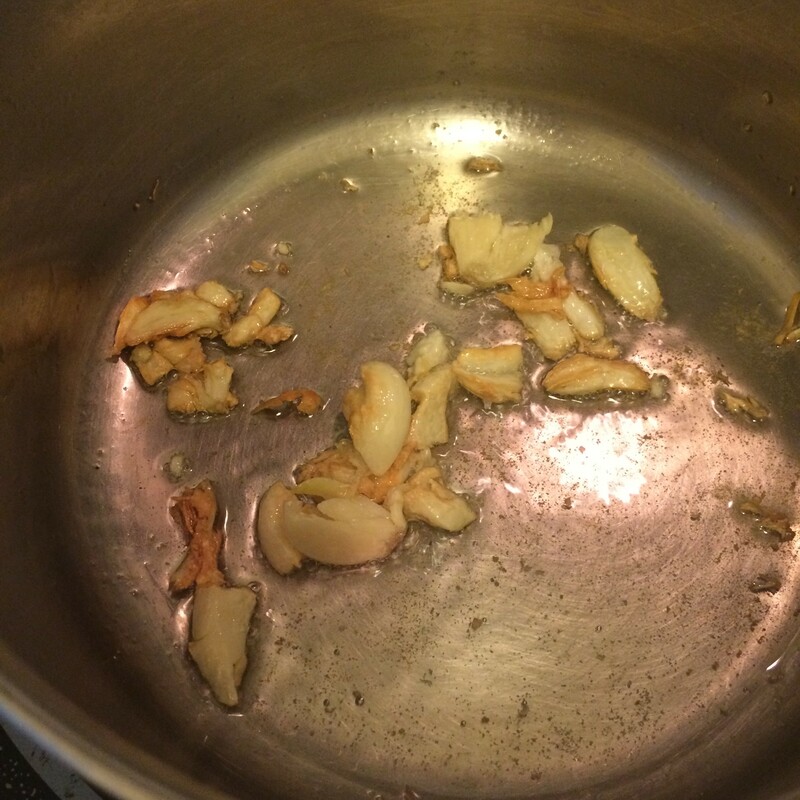 Stirring constantly to ensure that the garlic doesn’t burn, cook until garlic is browned, about 3-5 minutes. Add tomatoes, and stir making sure to scrape up any browned bits of garlic on the bottom of pot. 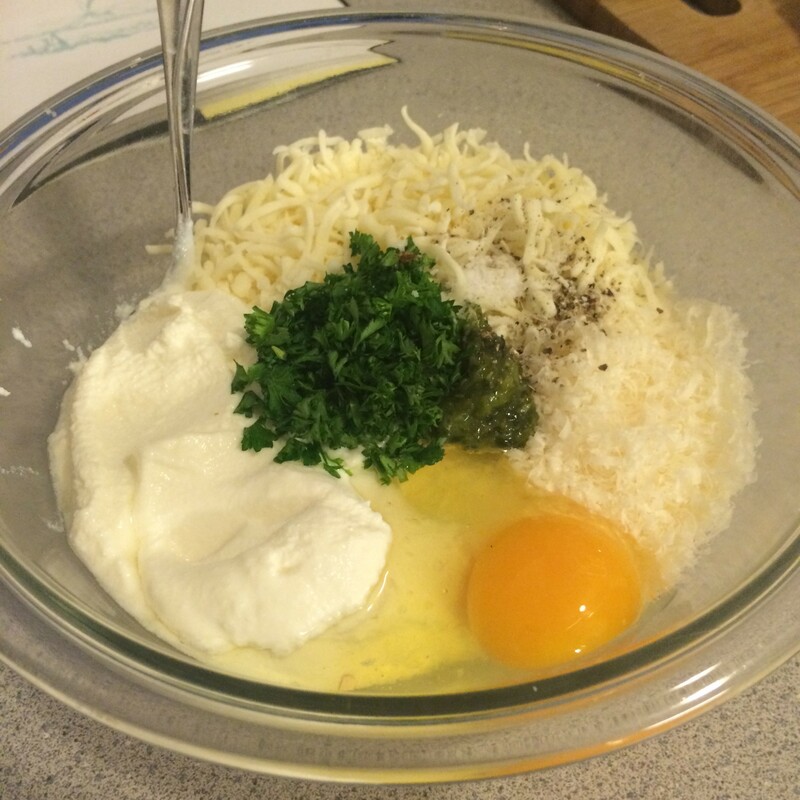 Add basil and parmesan cheese. Stir. Reduce heat to low and let simmer for six hours. 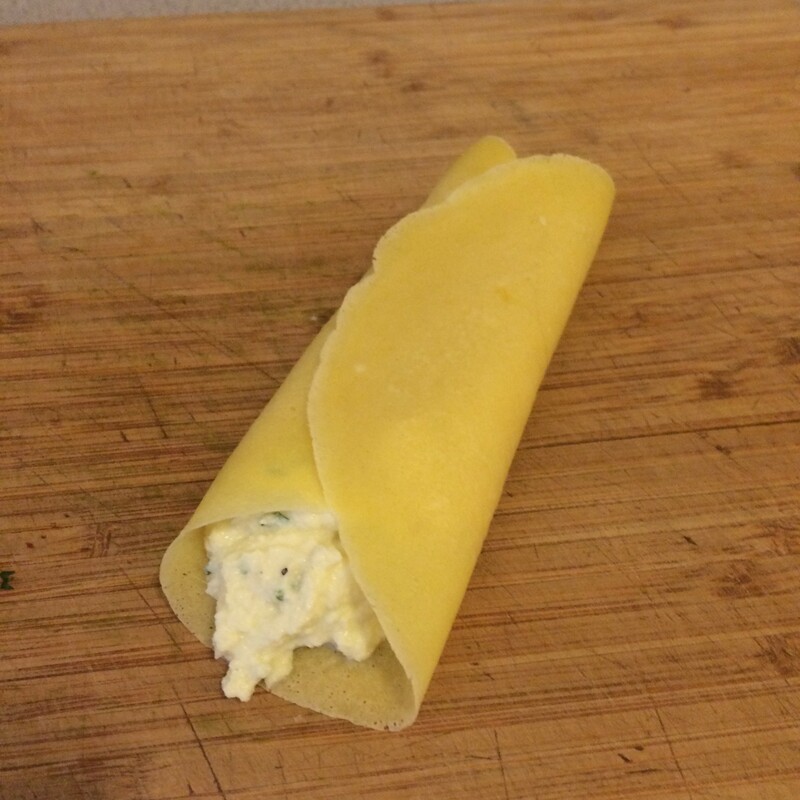 While your marinara sauce is marinating, start by making the crepes. 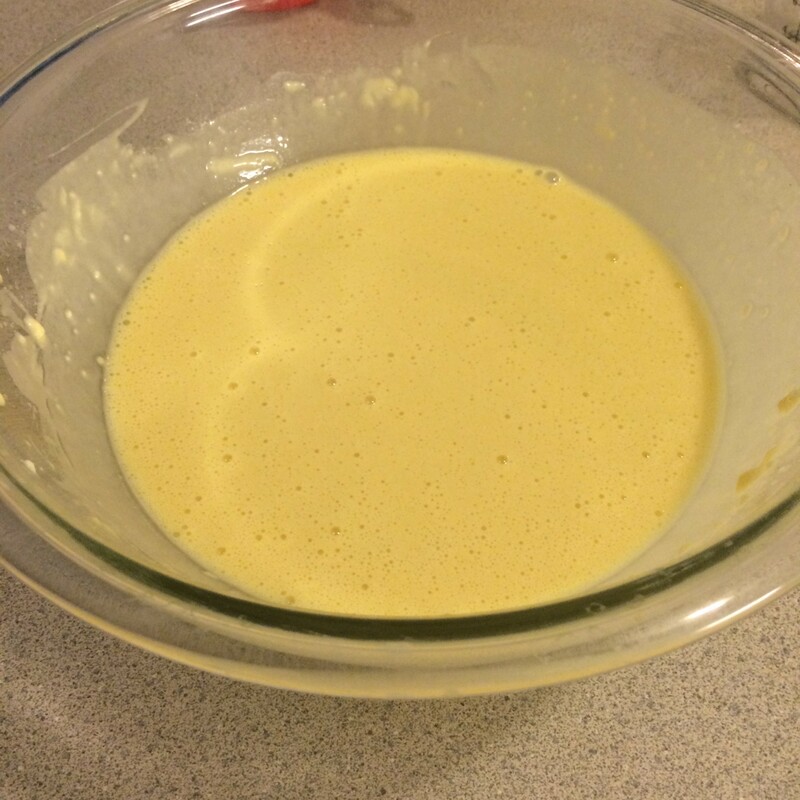 In a large bowl, whisk together flour, salt, eggs and water until smooth. Cover and refrigerate for at least 30 minutes. Heat a 6-inch non-stick skillet over medium heat. Brush the pan lightly with oil. 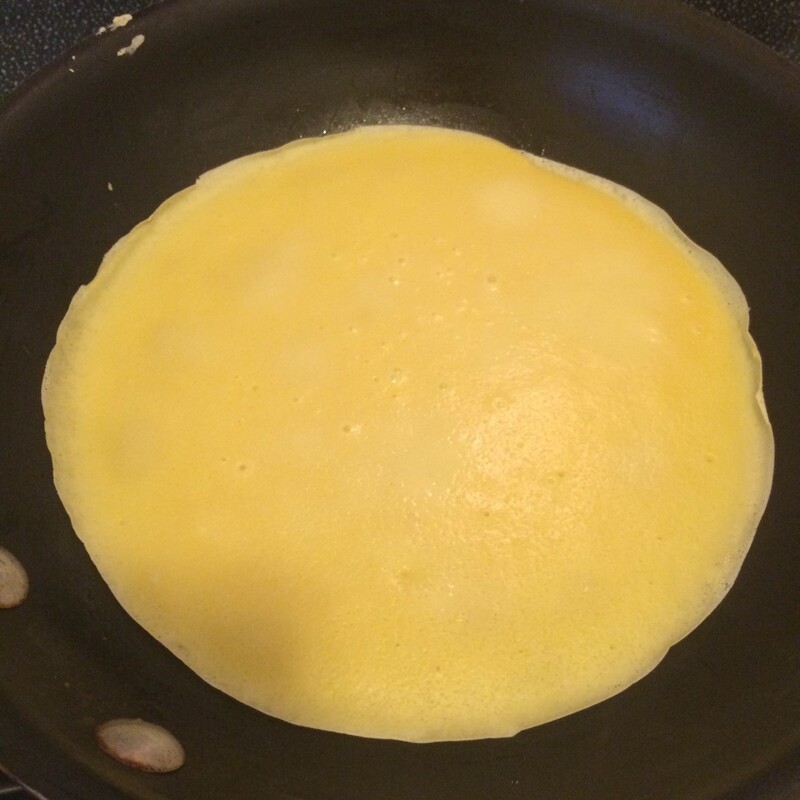 Holding the pan in one hand, spoon about 1/4 cup of the crepe batter into the center of the pan, and immediately rotate the pan to completely cover the bottom. Cook for 45 seconds, or until the edges begin to lift away from the pan. 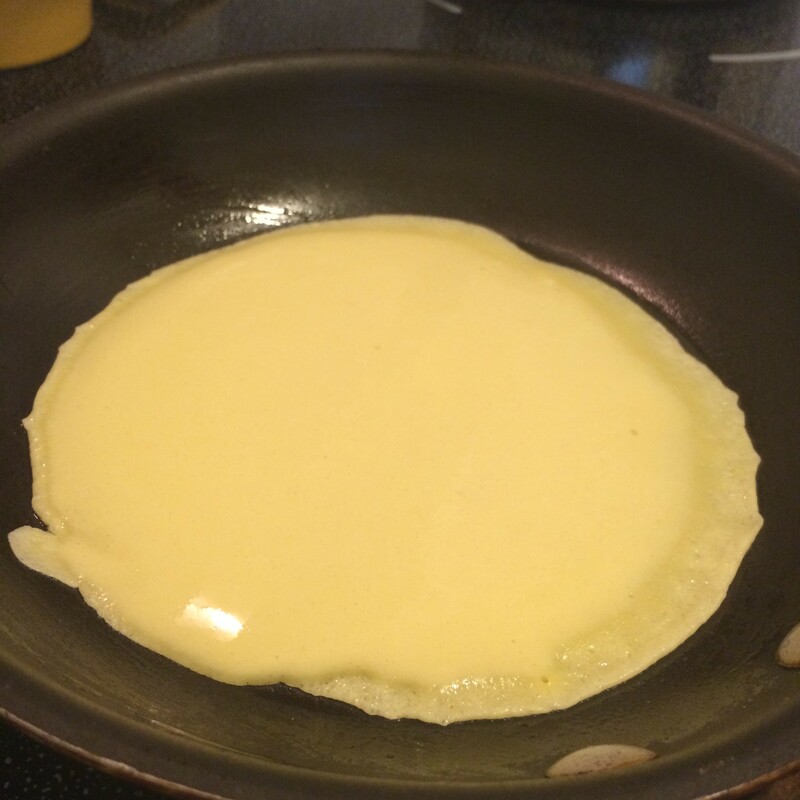 Using your fingers, flip the crepe over and cook for 30 seconds longer on the second side. 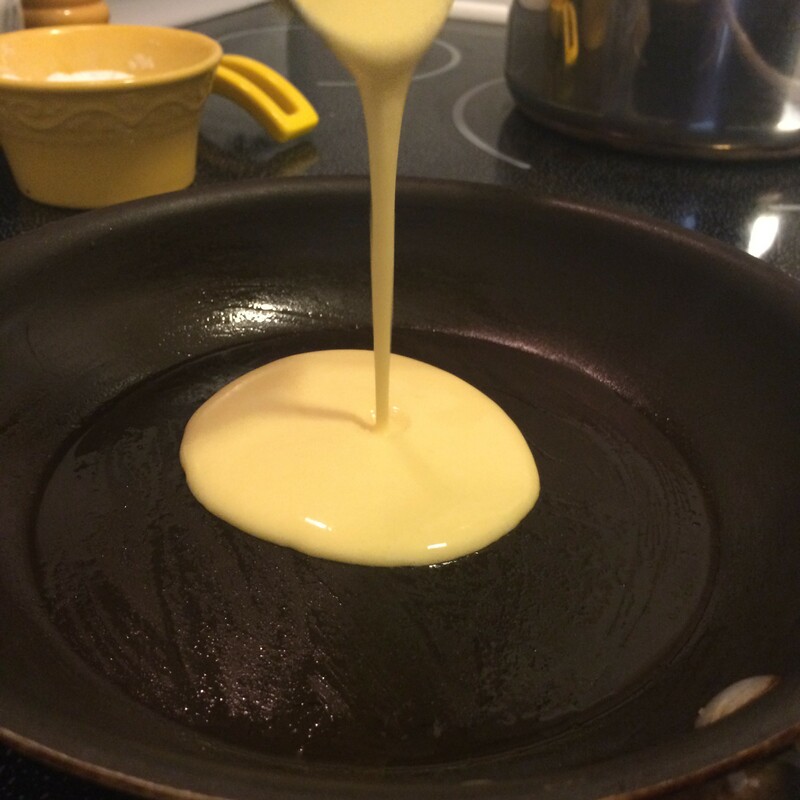 Slide cooked crepes onto a small plate and repeat with remaining batter. 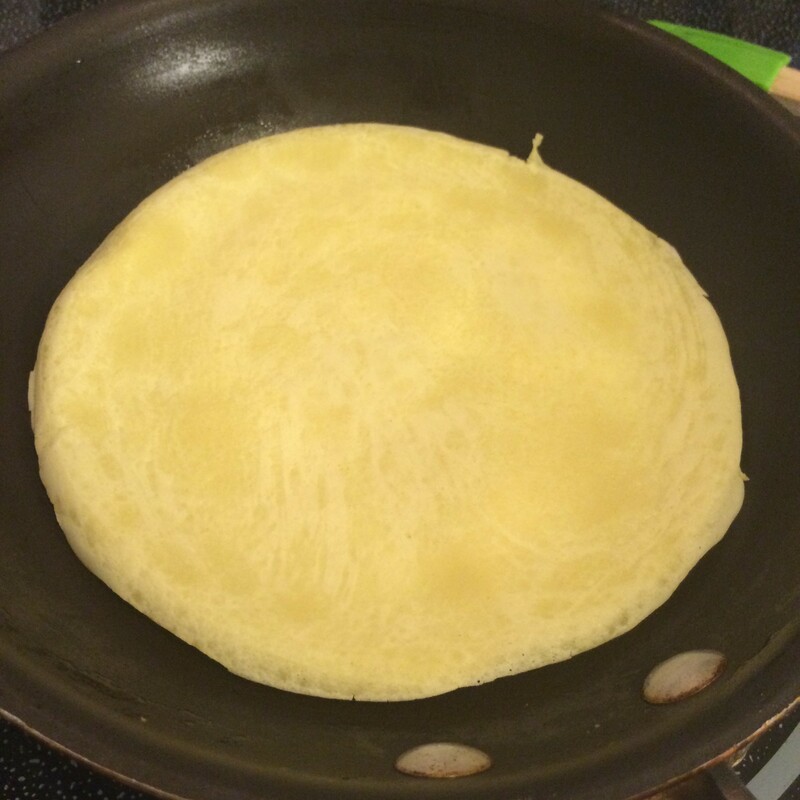 Crepes can be made up to two days ahead of serving. 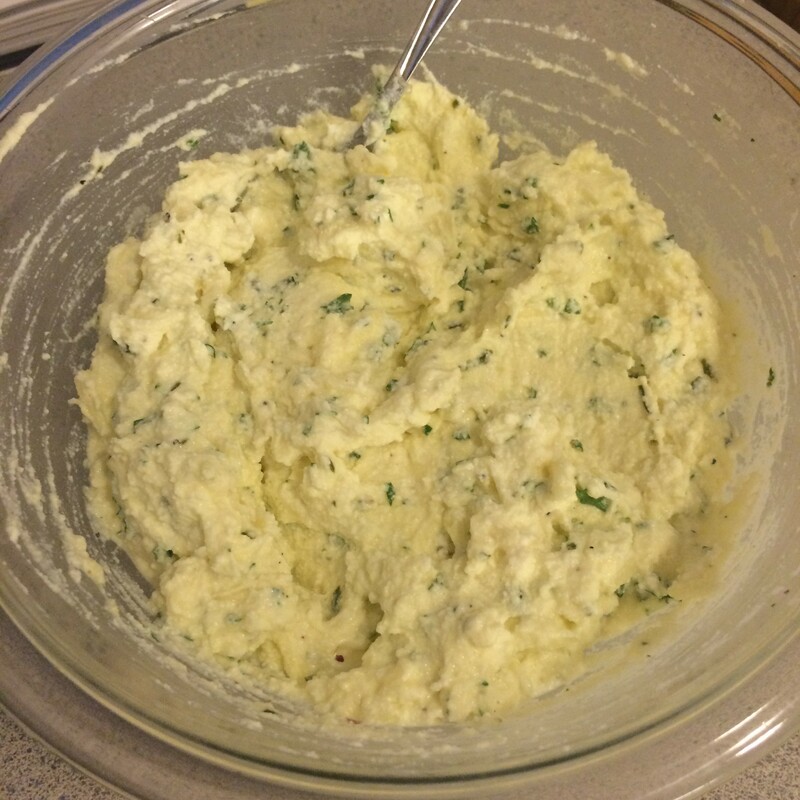 To make the filling, combine all ingredients together with a silicone spatula until smooth. Cover with plastic wrap and store in the fridge until you’re ready to use it. 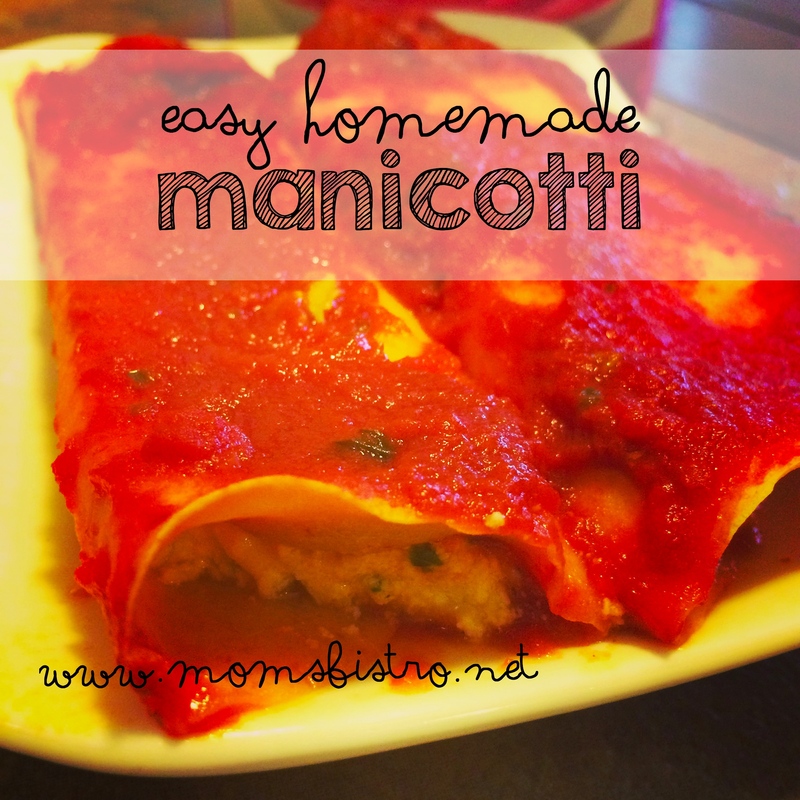 Now that you’ve made the filling and the crepes, it’s time to start assembling the manicotti. 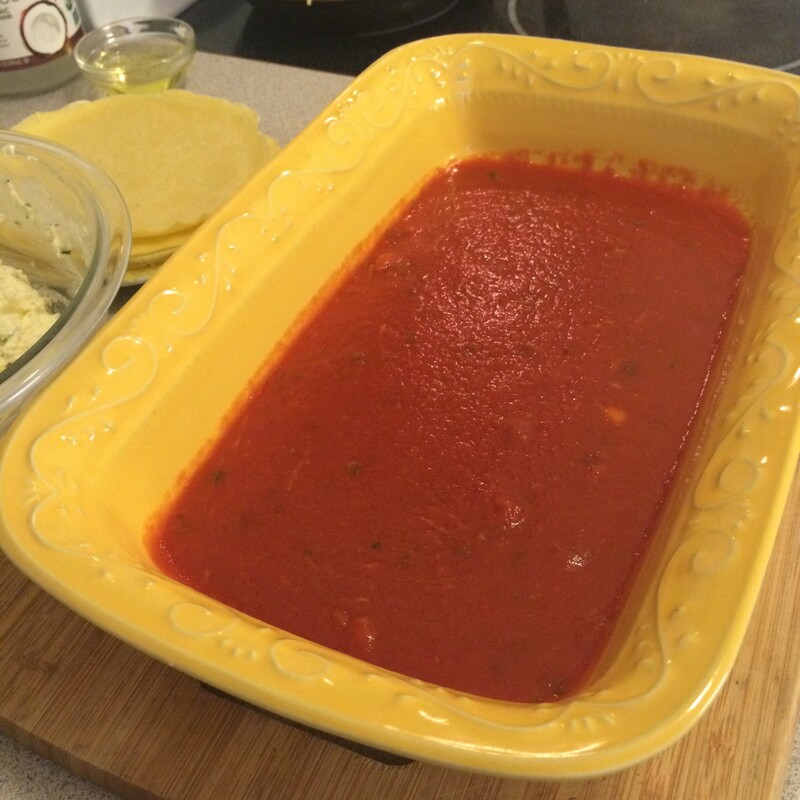 Spoon a thin layer of marinara sauce into a 13×9 baking dish. 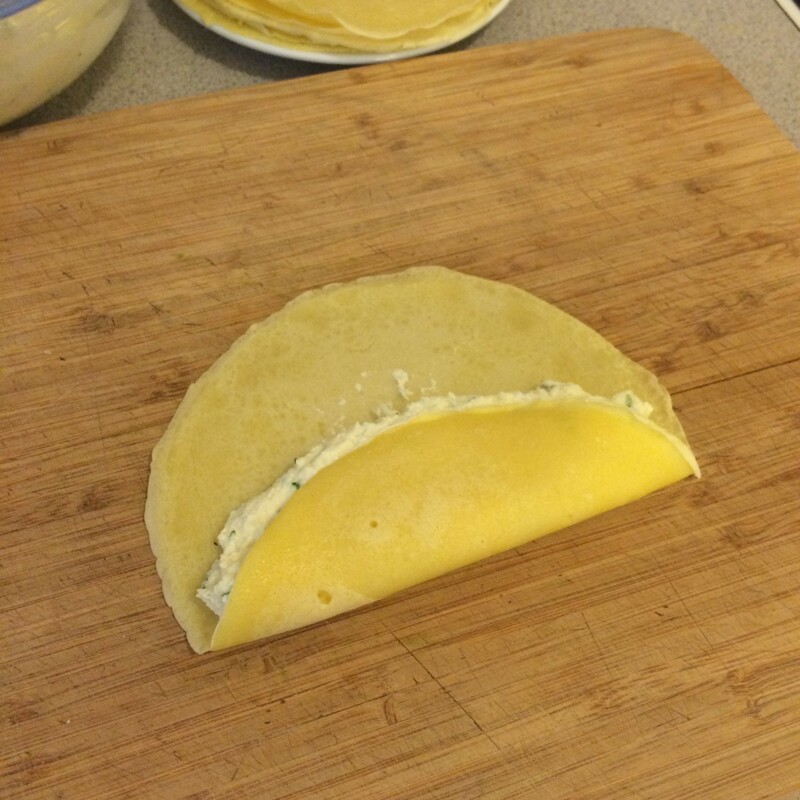 Working one at a time, scoop about 1/4 cup of cheese filling into the center of a crepe. 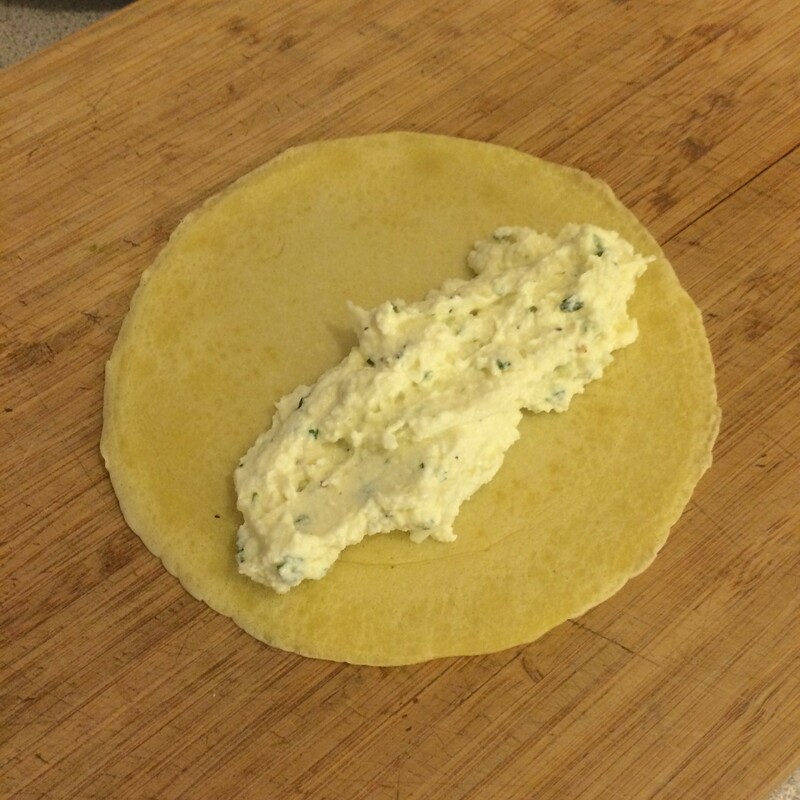 Fold one side over the filling. And then fold the second side over. 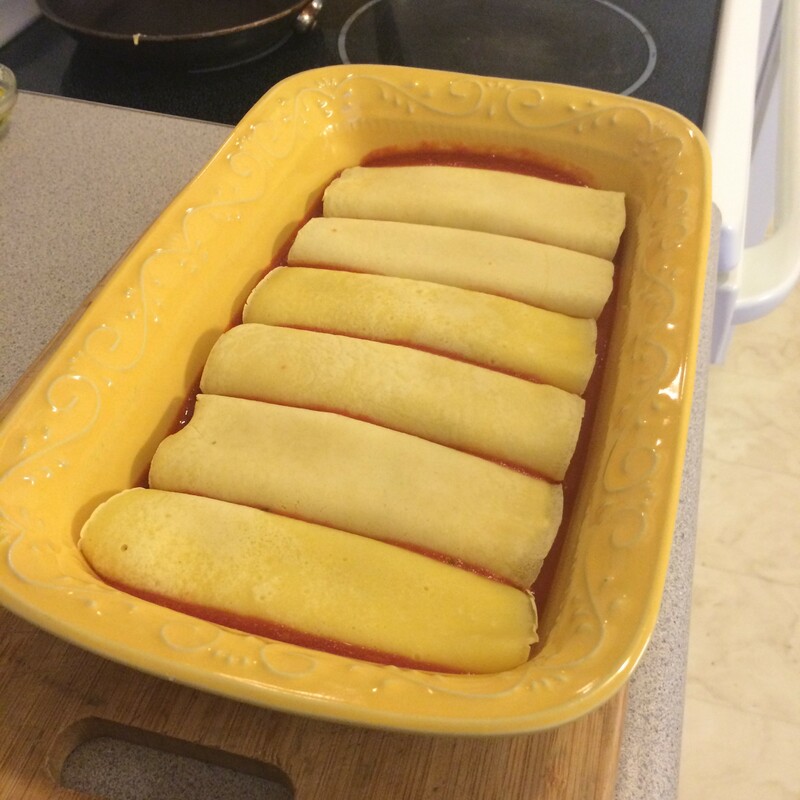 Place filled crepe seam side down in baking dish. 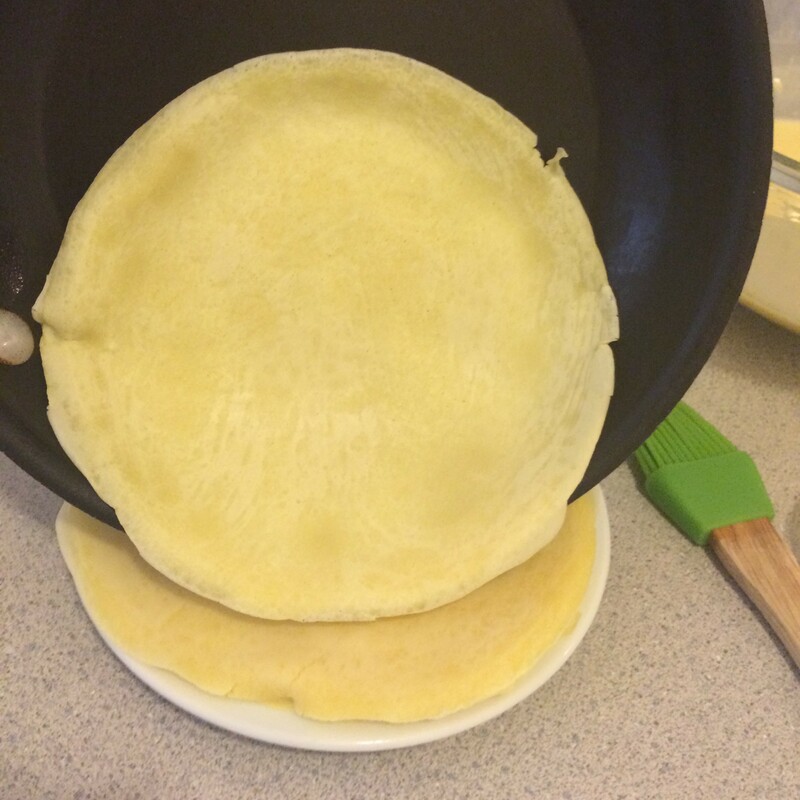 Continue with remaining crepes, placing them close together. 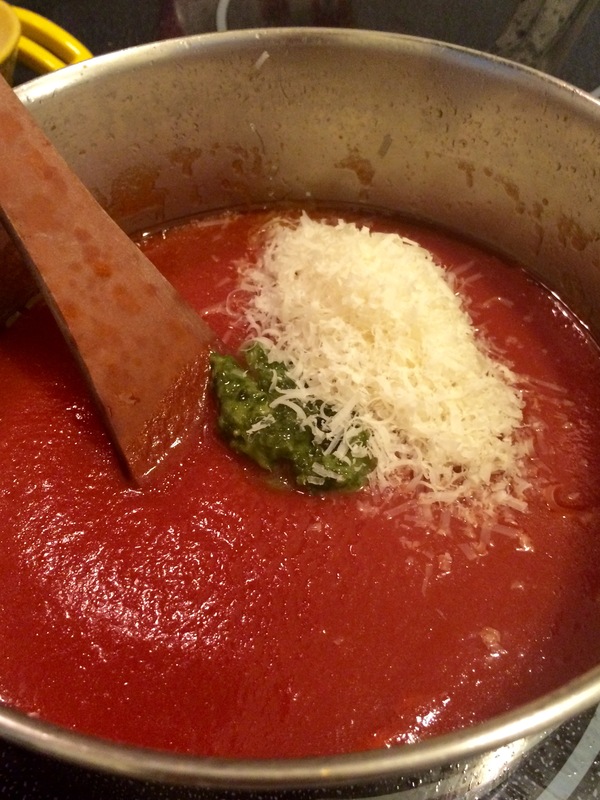 Spoon over more marinara sauce, and spread it out to completely cover the manicottis. 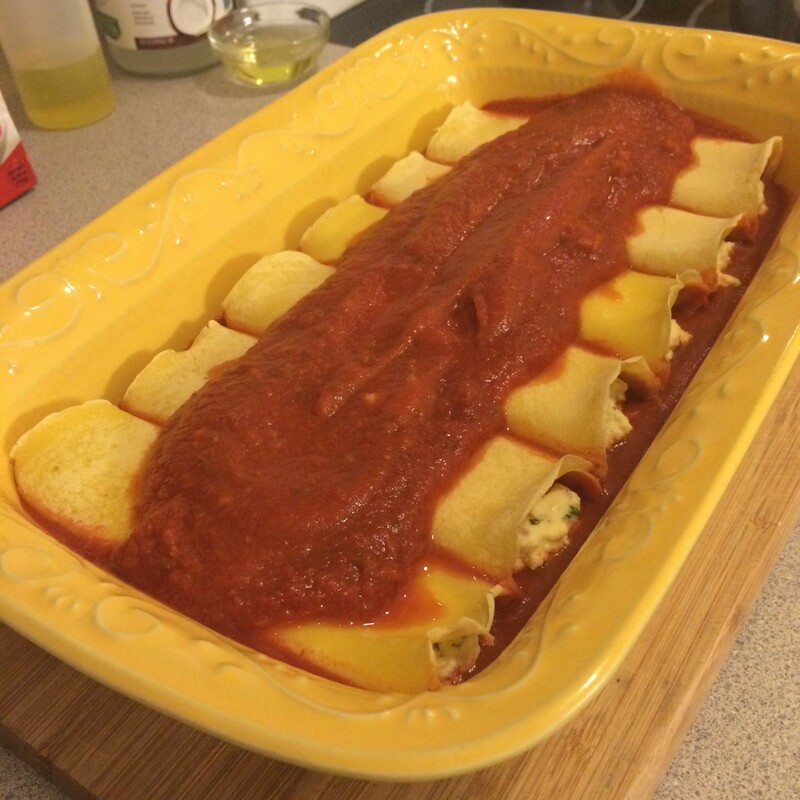 Bake for 30-45 minutes, or until the sauce is bubbling and the manicotti are heated through. 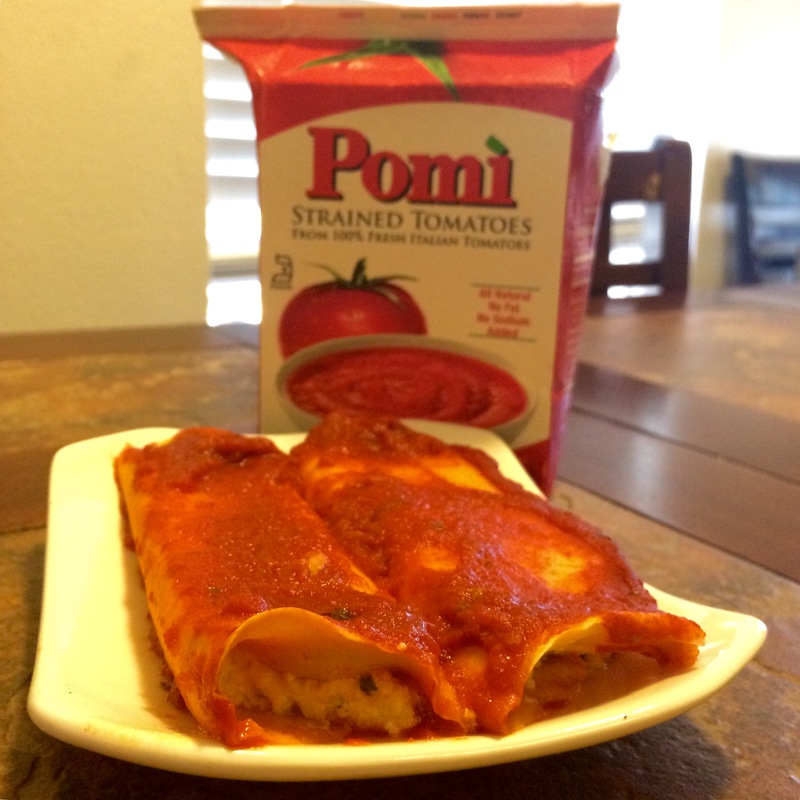 I received free Pomi tomatoes in exchange for my review. 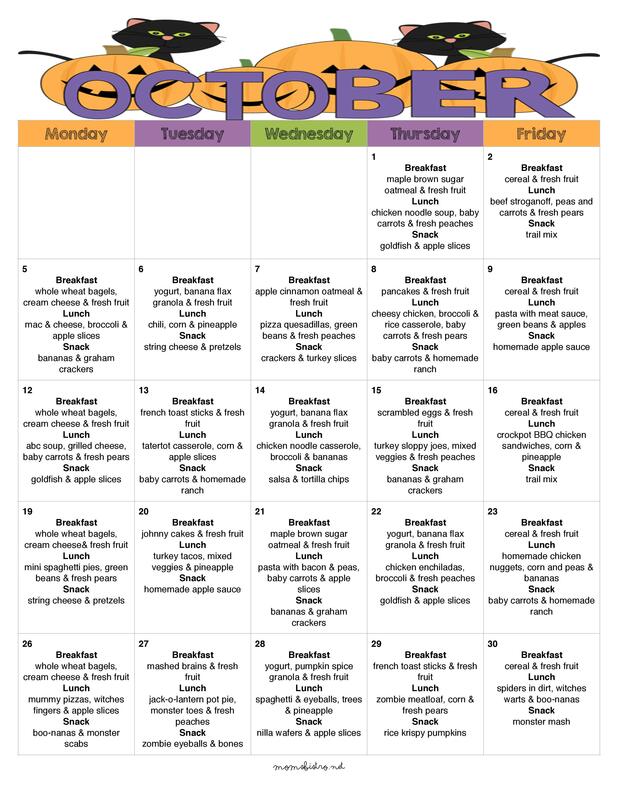 All opinions and recipes are 100% my own and have not been influenced in any way.